I love condiments, in fact that is an understatement I LOVE condiments. Last weekend I went on a home preserving workshop run by the wonderful Valerie of Green Living. The course runs through the basics of making jams, pickles, fermented foods and preserving low acid foods like most vegetables. We started off with jams and made two. The first was a Papaya, ginger and lime jam, the second was a strawberry jam. 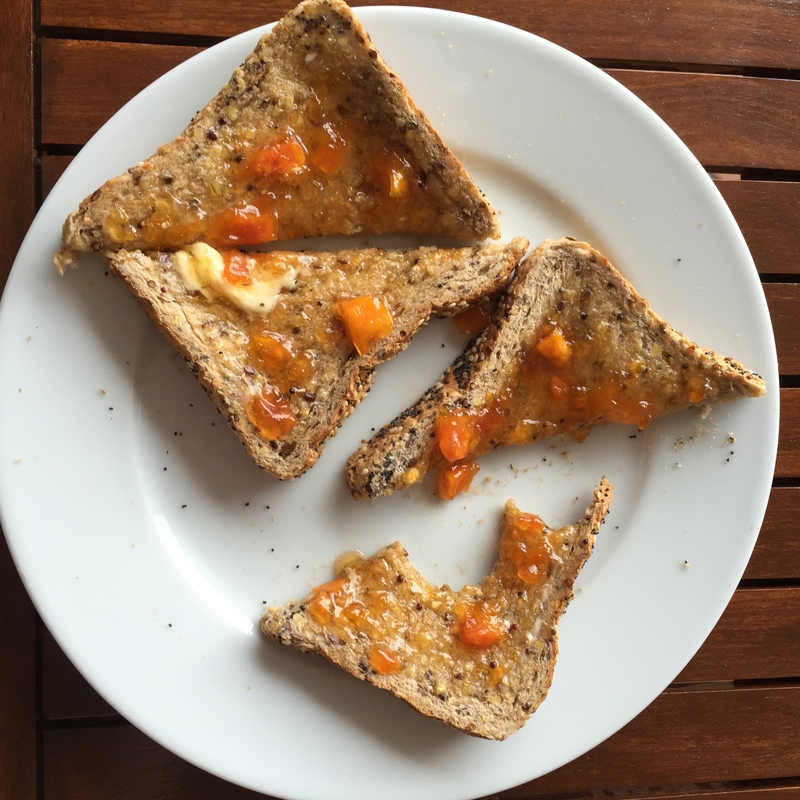 The papaya jam was made following a standard recipe. Most jams require a ratio of 1 kg fruit to 1 kg sugar – that’s a whole lot of sugar! The strawberry jam used a special type of pectin that is calcium activated and therefore allows you to reduce the sugar content by 50%, which I think is great. 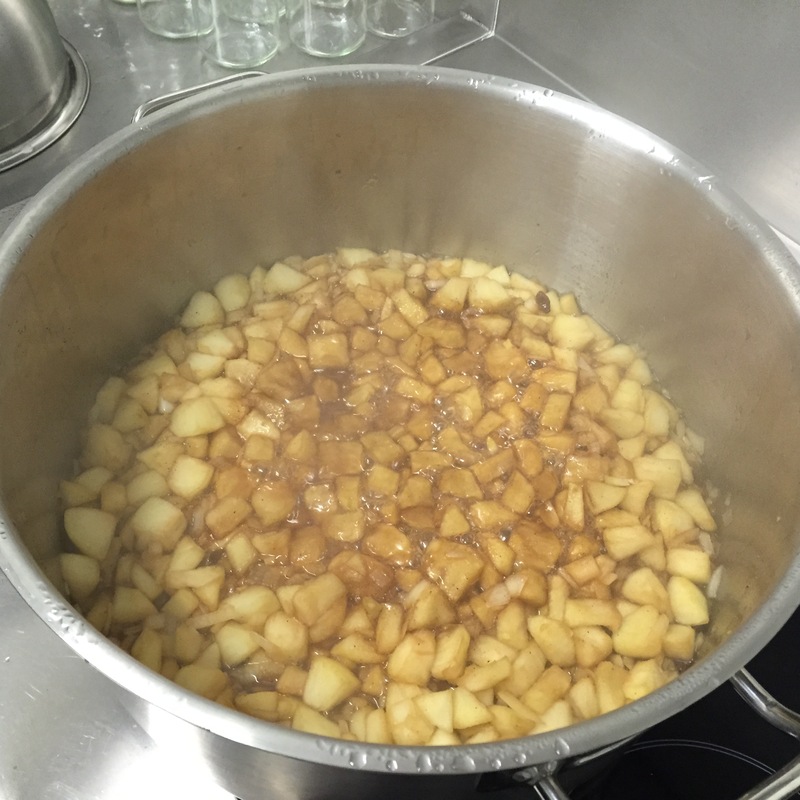 You cook the fruit with a small amount of acid (lemon or lime juice) and then add in the sugar and pectin. You can really feel the mixture thickening up in the pan. Once the jam has reached the correct consistency it’s ladled into hot jars (so they don’t crack) and sealed. Essentially you have now made jam – hooray! However, crucially you have not made a preserve. If you were stop at this stage you would have tasty jam, but you would need to eat it within the next few days, as it will go off. To preserve the jam, so that it will last in your pantry for a long time before opening you need to essentially re-cook them. You place the jars in a large pan of boiling water, ensuring their sat off the bottom of the pan (using something akin to a cake cooling rack). 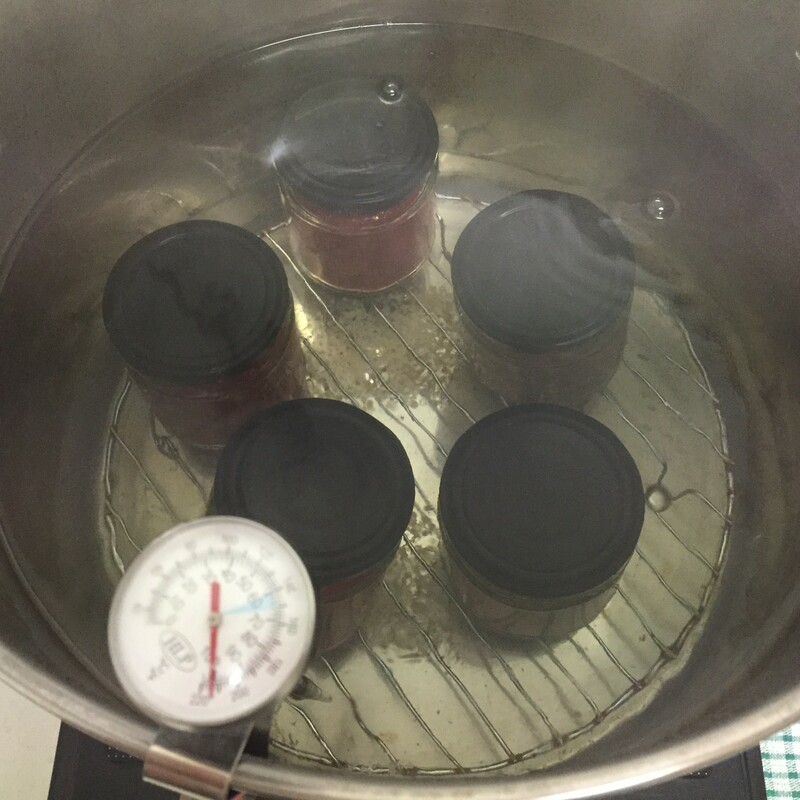 It is important that the jars are totally submerged in order to ensure that they heat all the way through. After 10 minutes they can be removed and set aside to cool. On cooling you hear little “pop” “pop” noises, as the jars lids are all suctioned in by the cooling vacuum between the jam surface and the lid. We enjoyed sampling the jams with fresh scones and crackers, they were so tasty and flavorsome. 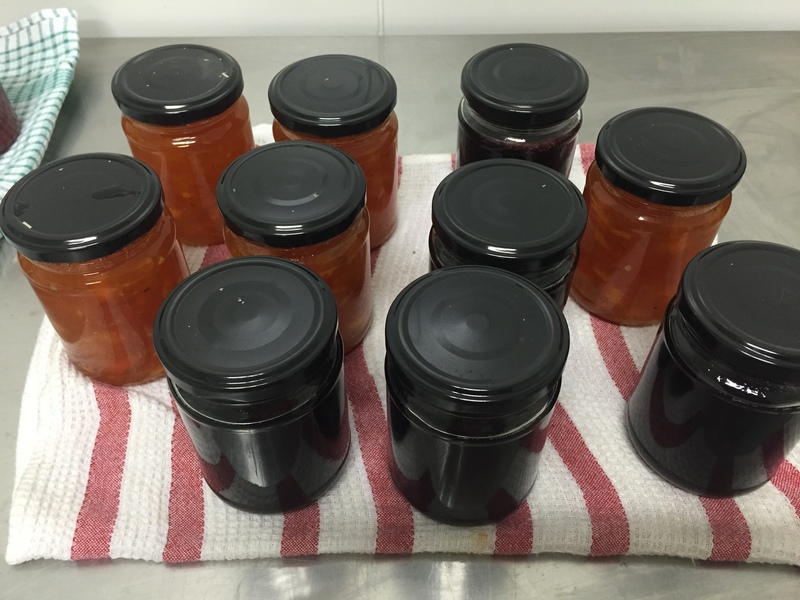 We then made some more “savoury” preserves – a Shiraz jelly (yuuuuuuuuuuuuuuuuuuuuuum) and an apple, onion and sultana chutney. The difference between a jam and jelly is that the jelly is made using only the juice of the fruit – or in this case, wine. The process is then the same as for jams. The Shiraz jelly was amazing. I will definitely be trying this again. I reckon port or mulled wine jelly will be featuring at Christmas this year. We sampled the jelly and chutney with crackers and super tasty Jarlsberg cheese, made at one of the centers cheese making workshops. We then made Kim-chi, which is a traditionally fermented cabbage product from South Korea. 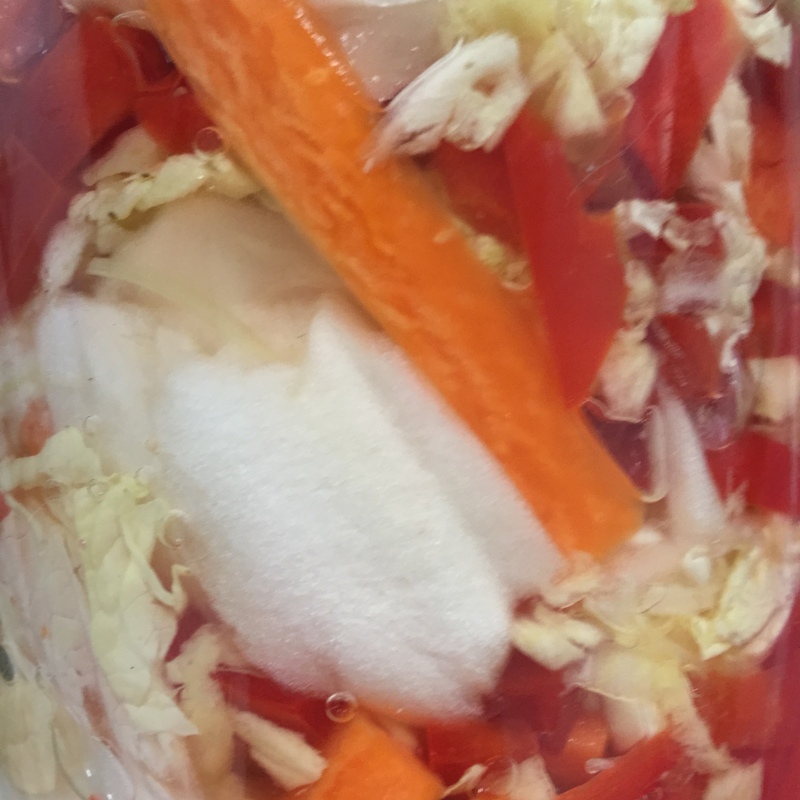 To ferment the cabbage you fill the jar with chopped veg, cover it with “bacteria water” – sounds super tasty right! Then you seal it up and leave it to do its business. You need to open the jar everyday to release the build up of gas, but after about 1 week you will have Kim-chi. As I’m only home at the weekends I have to put mine in the fridge at home during the week. This slows down the process, so it will take several weeks before I get my tasty veg just right. Valerie also explained how to preserve low acid foods, which are mainly vegetables. This was quite scary actually! Botulism aka the most toxic substance on earth (which people inject into their faces as Botox) can grow in low acid foods if not preserved properly. It kills and there is no cure… So this is something you don’t want to get wrong. To ensure that your food is preserved correctly you have to place your veg in jars filled with demineralised water. They they go into a huge pressure cooker. They then have to be cooked for the correct duration to ensure that the entire jar is heated to over 116 degrees for a set period of time – due to the risks involved these cookers come with guides that specify the necessary pressure and times for different food types in different sized jars. Overall this just made me nervous. As I live in a place where I can get good quality fresh fruit and veg year round and also have enough room in my freezer I don’t think I will be doing much low-acid preserving any time soon. I left with a bit of a goody bag full of jar lids and mega useful jar tong (so I don’t burn my sensitive little fingers on the hot jars). Later that day at home I heard the tops of my jars making the “popping” noises of the lid being sucked in as the vacuum formed as they cooled. For breakfast on Sunday I enjoyed tasty jam on toast. I then took the strawberry jam to a baby shower, where it was enjoyed on fresh scones, home-made by the lovely Ruth. I really enjoyed the day, it flew by. I can’t wait to make more jams and pickles at home. I would definitely recommend the courses at Green Living and fully intend to go along to their cheese making course next month! This entry was posted in 30@30, Uncategorized and tagged 30@30, chutney, GreenLiving, homemade, jam, jelly, pickle, preserve, tasty, Wine. Bookmark the permalink.